If you liked our take on the release of Garmin Fenix 3 recently posted on our website, you’ll be just thrilled to hear that the famous navigation equipment producer has also introduced another piece of GPS goodness for avid explorers and adventures who like to keep tabs on their location, maps and routes at all times during their wilderness roamings. With the Garmin Epix freshly revealed at CES2015, you can set out to conquer the wild whenever, however and wherever you like and rest assured in the knowledge that you will never get lost in the middle of nowhere because this little guy packs all the GPS navigation essentials to get you home safely in a flash. 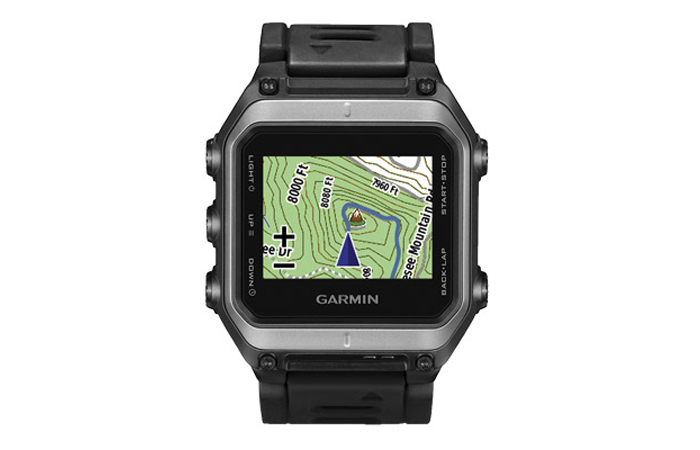 Designed primarily for hands-free GPS navigation purposes, Garmin Epix is a rugged-looking GPS mapping smartwatch fitted with a mineral glass lens and rugged PVD-coated shell topped by a square 1.4-inch high-resolution color touch-screen that allows you to monitor your location updates on the preset worldwide shaded relief basemap chart. In addition to the convenient basemap feature, Epix comes with a free one-year subscription to BirdsEye Satellite Imagery so you can take your map readings and location perspectives to a whole new level as easily as ABC. Equipped with an omni-directional stainless steel EXO™ antenna, Garmin Epix has full GPS and GLONASS support for accurate position readings, advanced track recording and a host of navigation tasks (route navigation, progress logging, coordinate and waypoint navigation, TracBack®, Sight’n Go and point-by-point routing, to name just a few), and there are also a handful of neat extras onboard, including altimeter, barometer and 3-axis electronic compass, to thoroughly round off your routing skills during outdoor adventures. Compatible with ANT+ sensors like Tempe temperature sensor and most standard heart rate monitors, Epix can be paired with another mobile device to gather and crunch some additional data during the exploration trip. 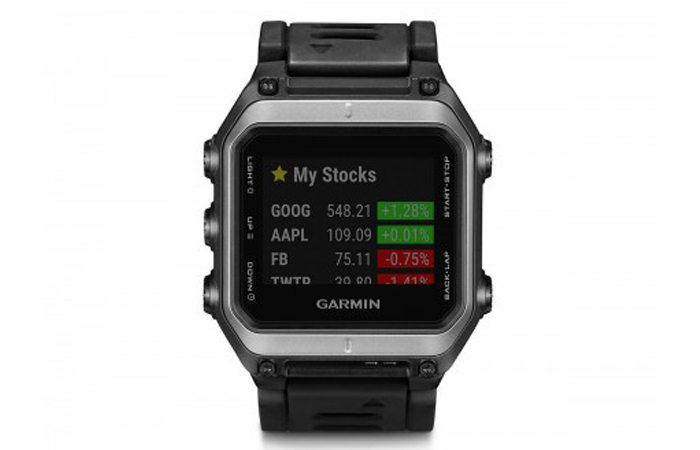 Like any regular smartwatch, Epix supports incoming notifications from a connected iPhone or Android smartphone and it can also be paired with Garmin’s Connect IQ platform for further customization of applications, widgets, watch faces and data fields. 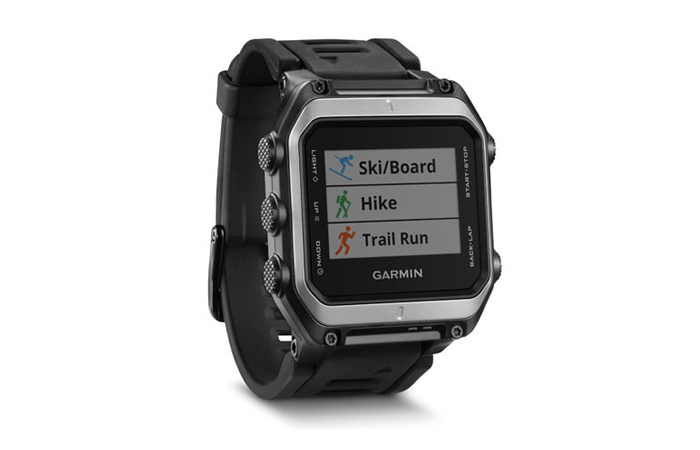 Packing an incredible 8GB of internal memory, Garmin’s new GPS navigator watch lets the user load extra maps like regional TOPO U.S. 24K, City Navigator® and BlueChart® g2 maps and even use satellite imagery as the landmark if you wish. On top of that, Epix boasts Garmin Connect™ support, letting you stay connected with your favorite online crowd at all times, and it also has a handful of fitness training feature presets specifically designed for running, cycling, swimming and good old activity tracking performance, so you can easily access all your vital data and training stats right there on your wrist. 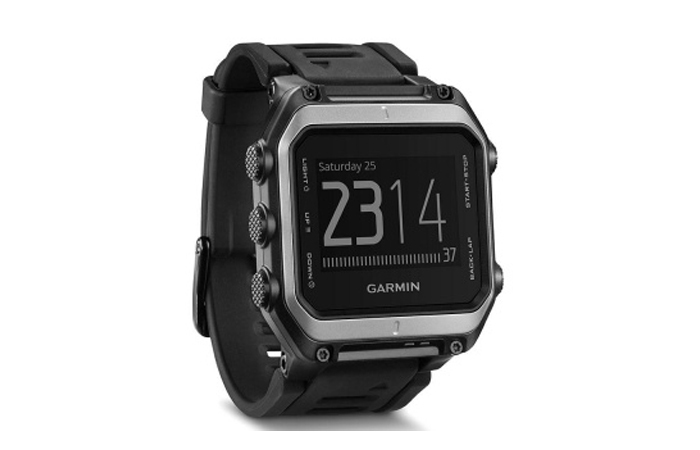 Waterproof down to 50 meters, Epix comes with a rechargeable lithium-ion battery that can deliver up to 24 hours of use in the GPS tracking mode, 50 hours in UltraTrac mode and an incredible 16 weeks in the standard watch mode. Measuring 2.0 x 2.1 x 0.7 inches and weighing a slight 3 ounces, Garmin Epix will be shipped in the box with a USB charging/data cable, AC adaptor and quick start manual, so you’re all covered when it comes to the charing and data transfer basics. According to Garmin announcements, Epix should become globally available some time in the first quarter of 2015, so keep an eye out on first delivery dates if you want to experience your next outdoor adventure from a completely new navigation perspective.